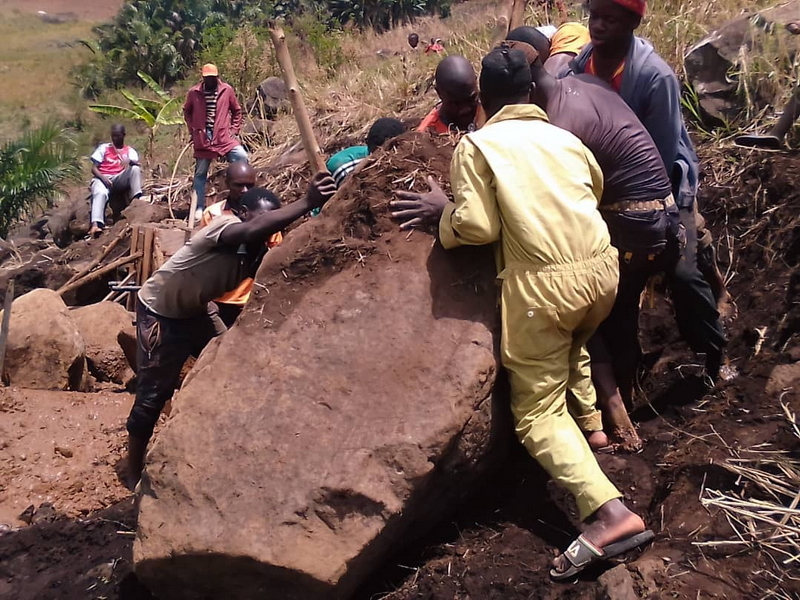 2018 proved to be a very difficult year in many ways. Now in 2019, much of the infrastructure is not functioning at the moment. 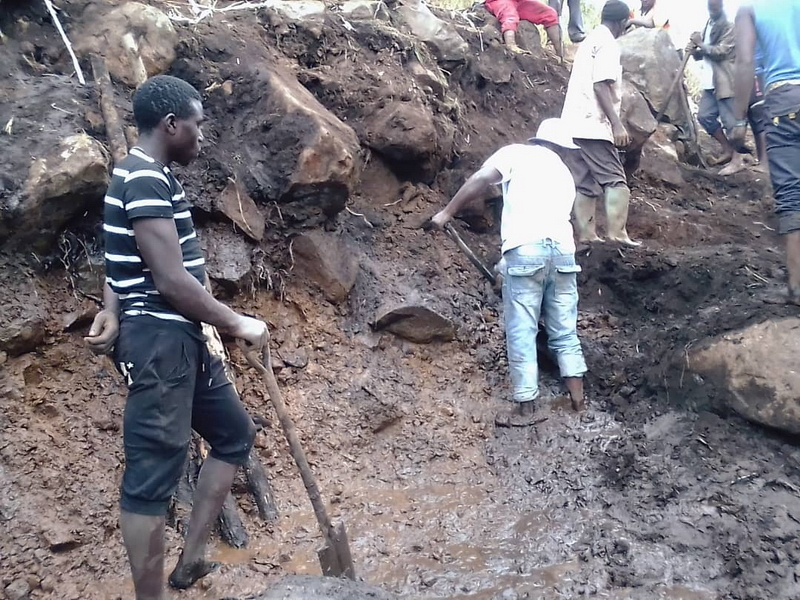 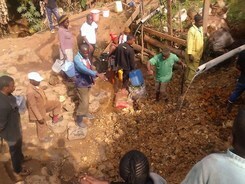 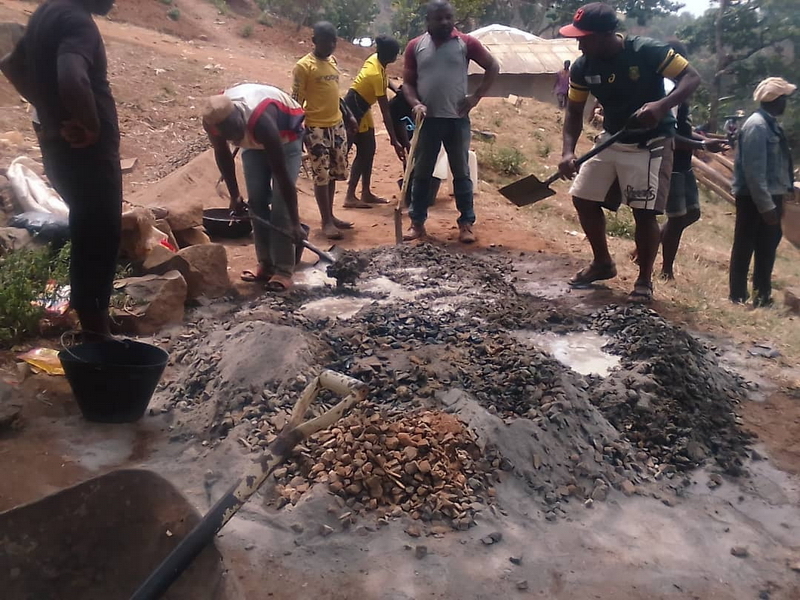 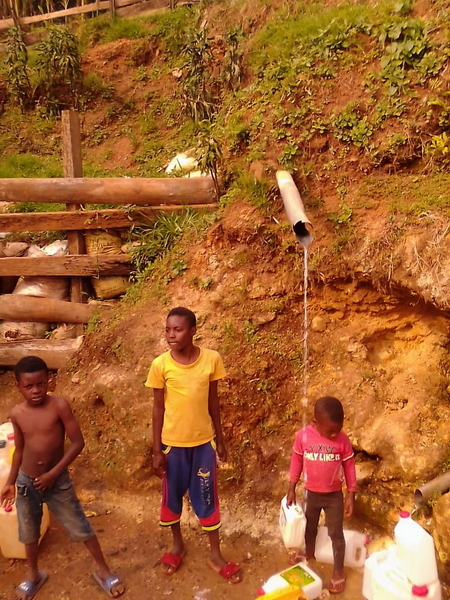 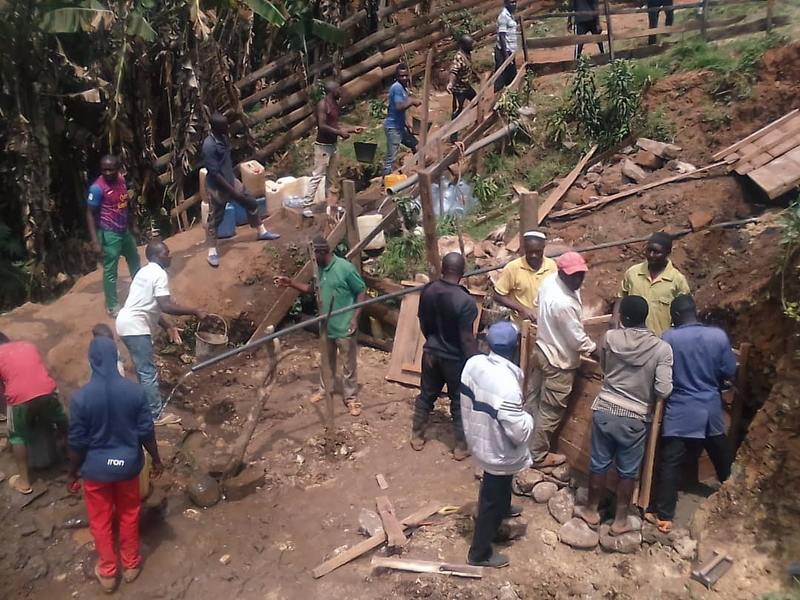 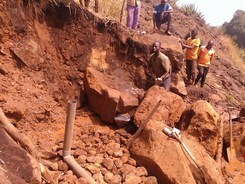 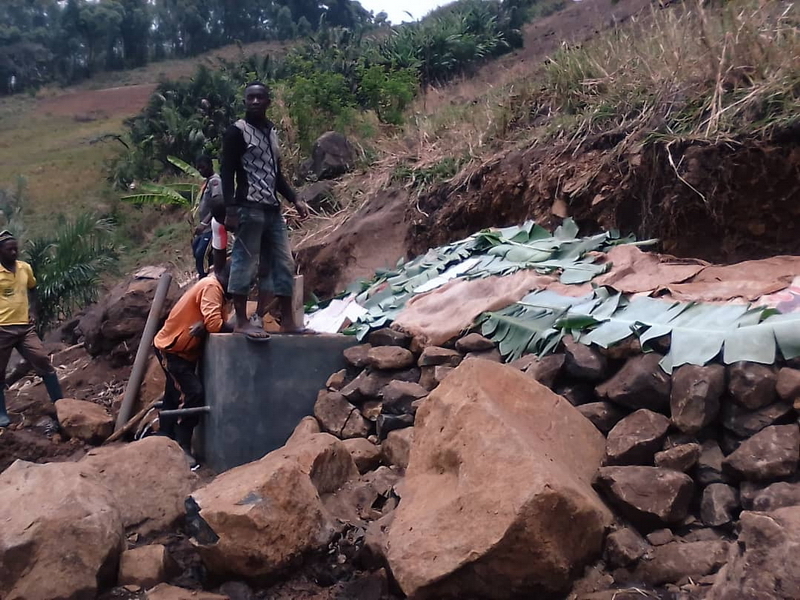 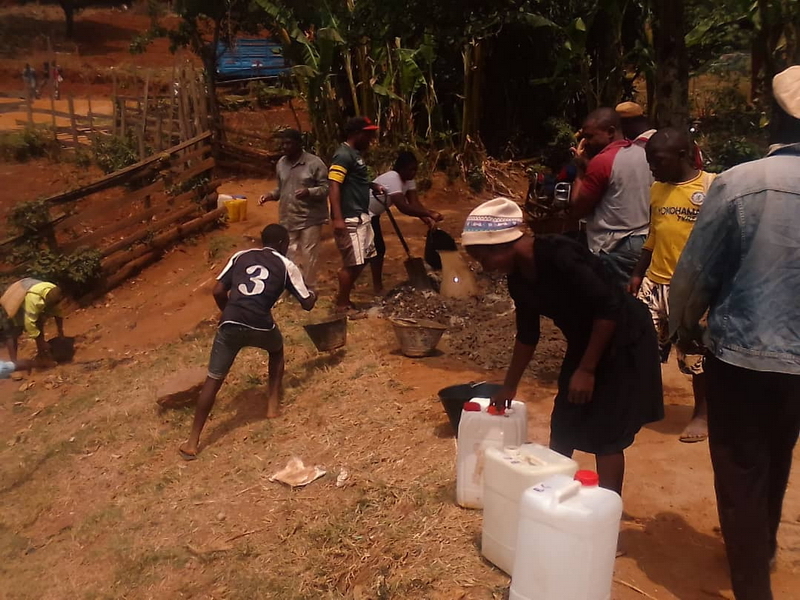 In early December 2018, the main intake line to the main water tank in Kumbo was damaged during fighting and since then there has been no drinking water on tap in kumbo. 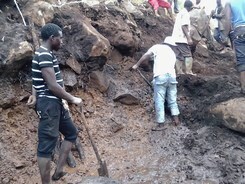 People have been reliant on carrying water from springs which are often dirty from being used by stray animals. 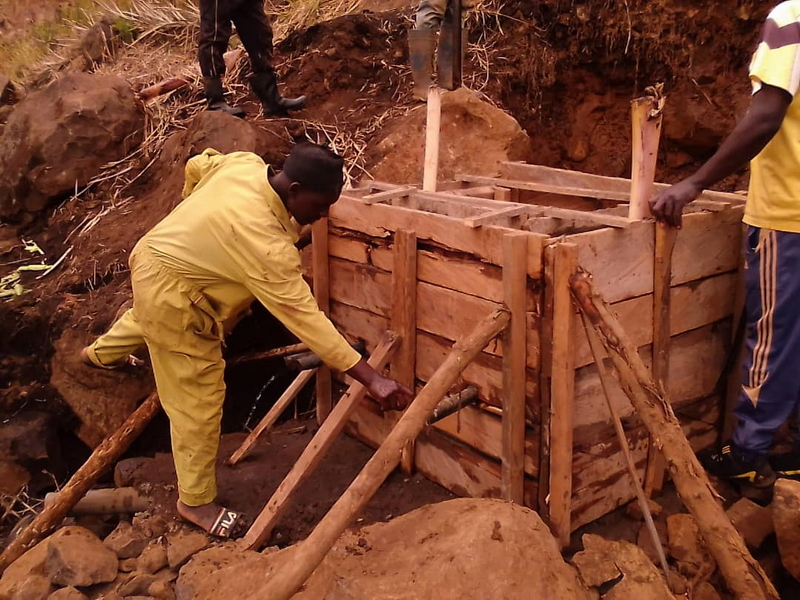 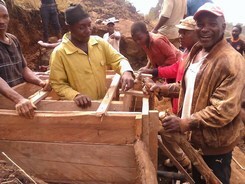 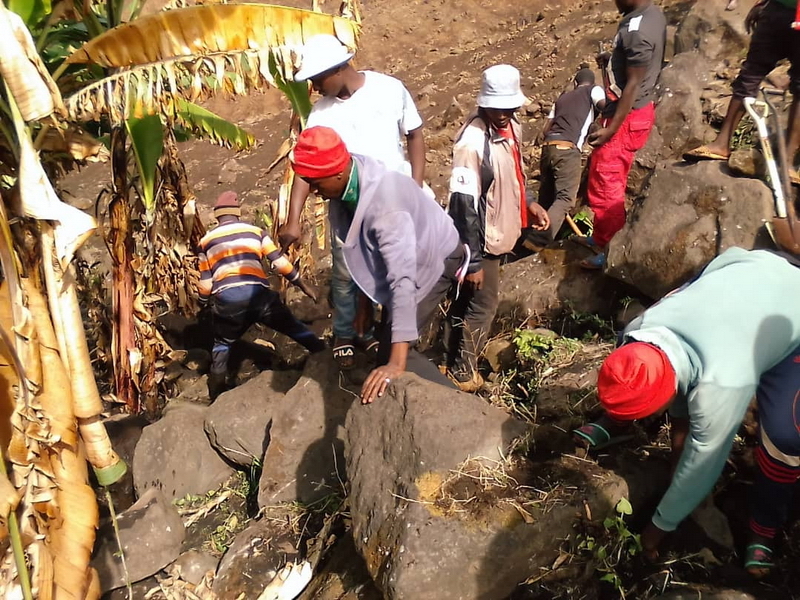 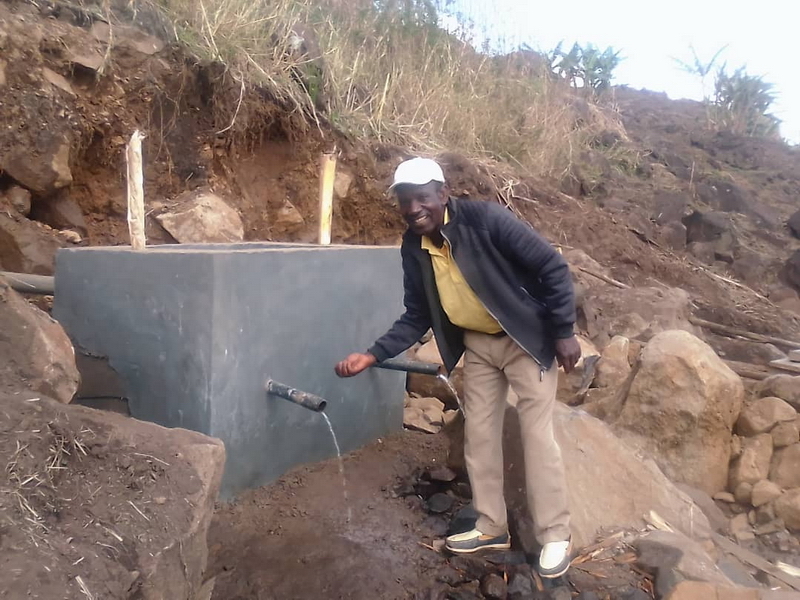 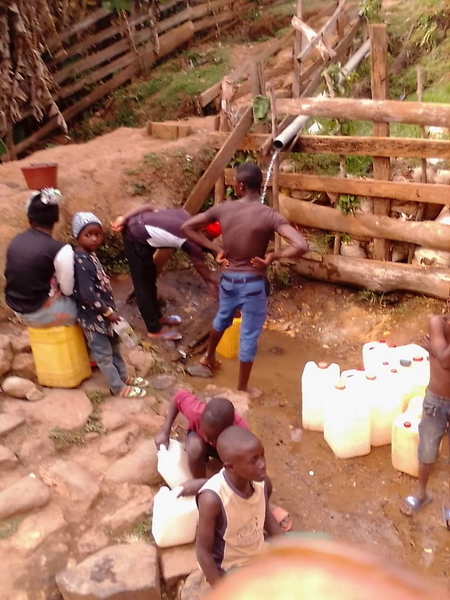 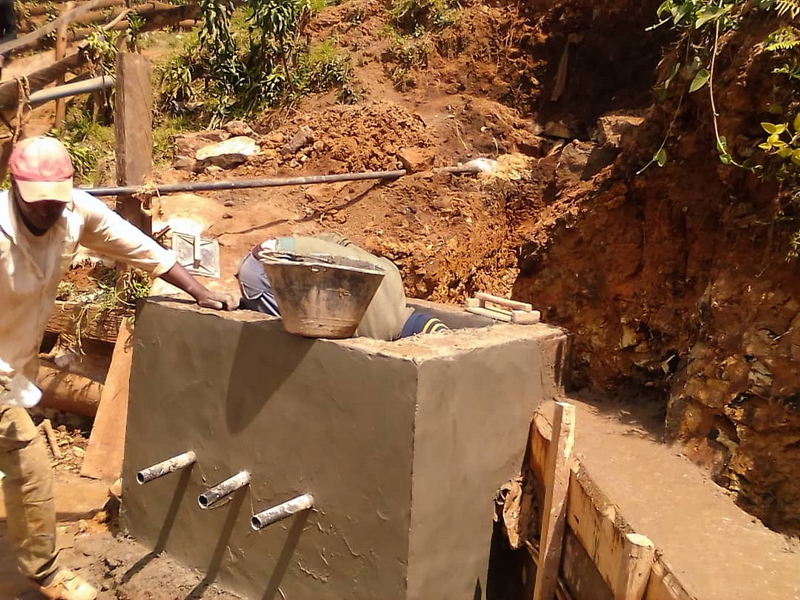 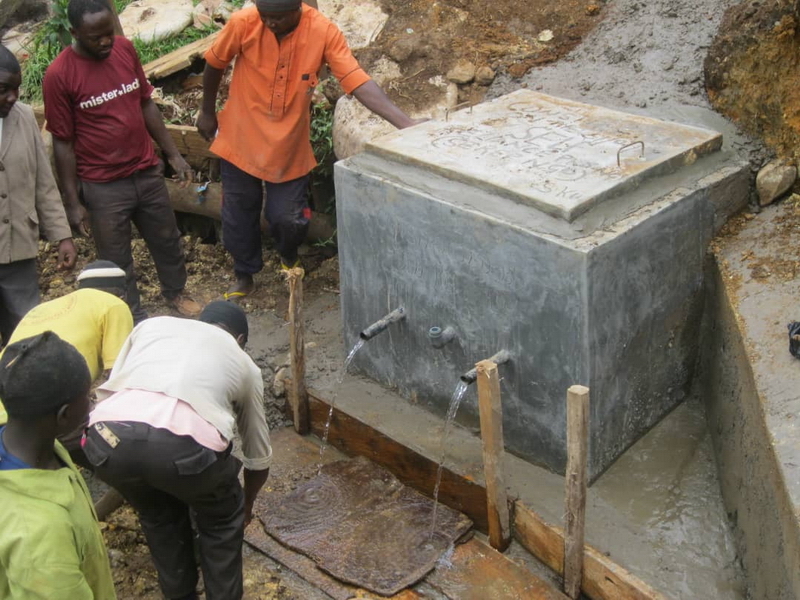 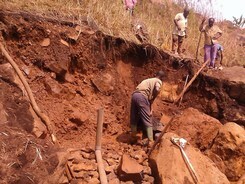 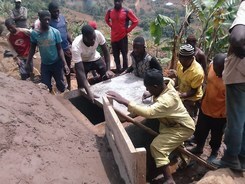 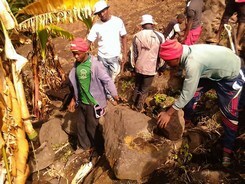 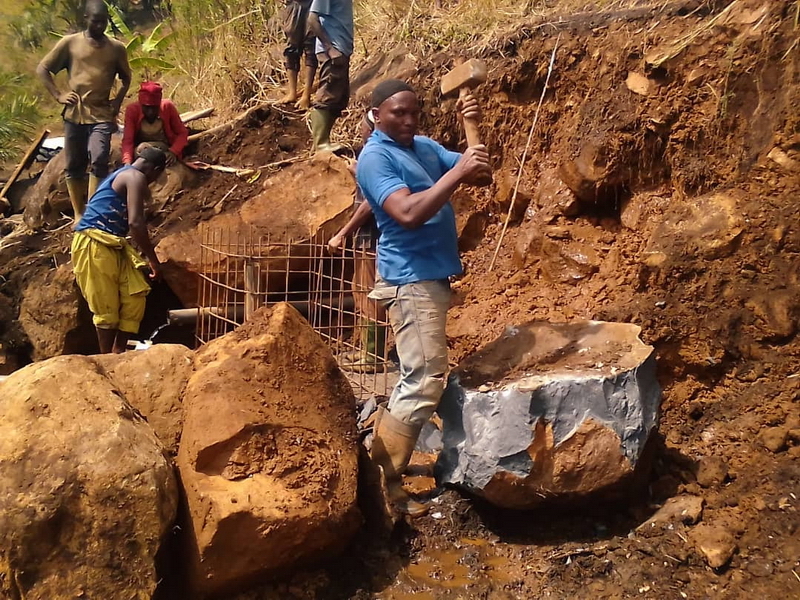 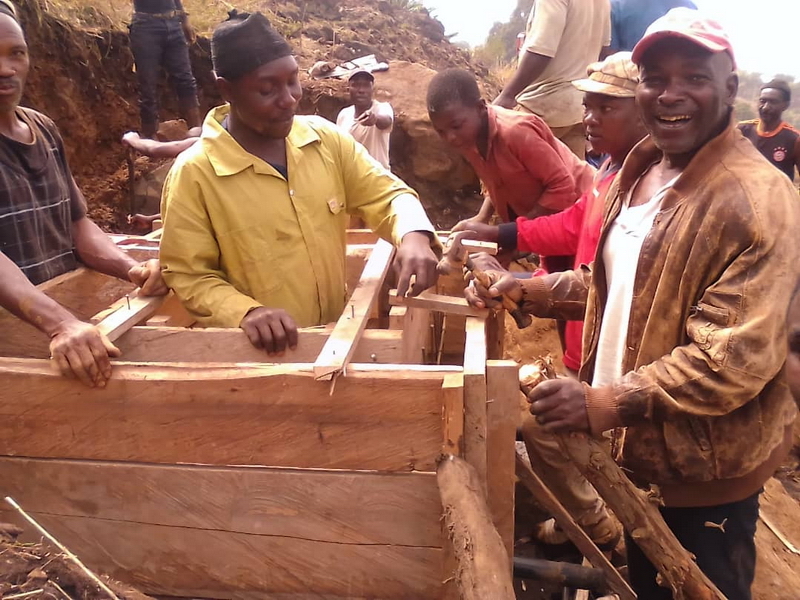 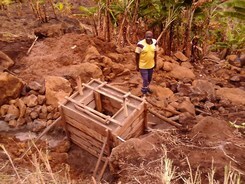 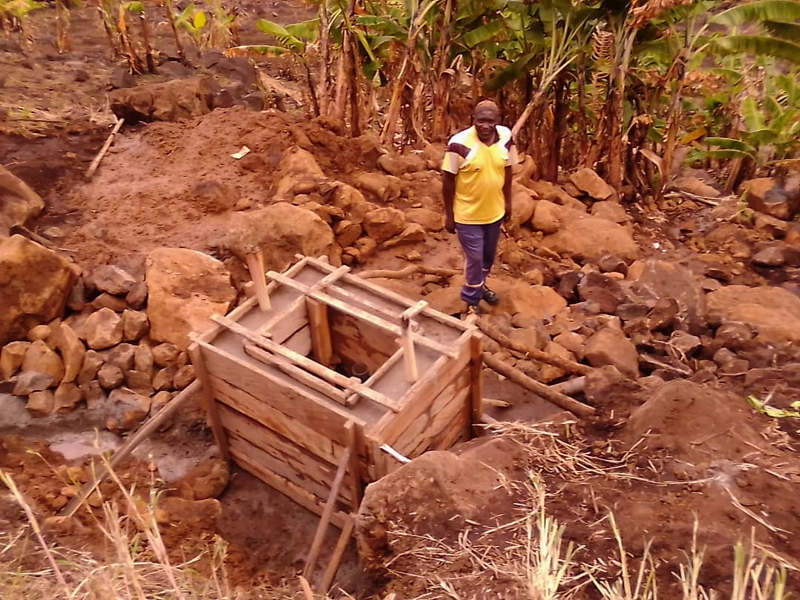 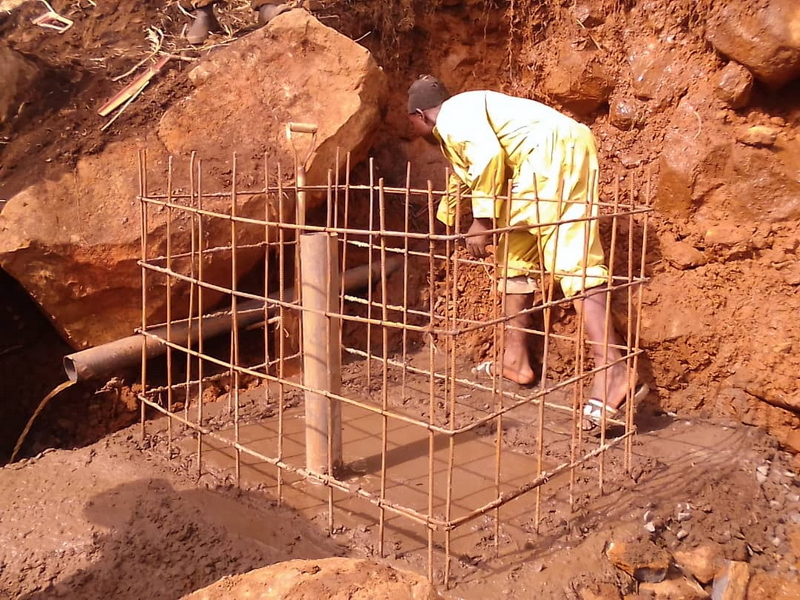 Thanks to a collection made by Quakers in Swansea, Wales, it has now been possible to construct water catchments and economically providing water outlets from them. 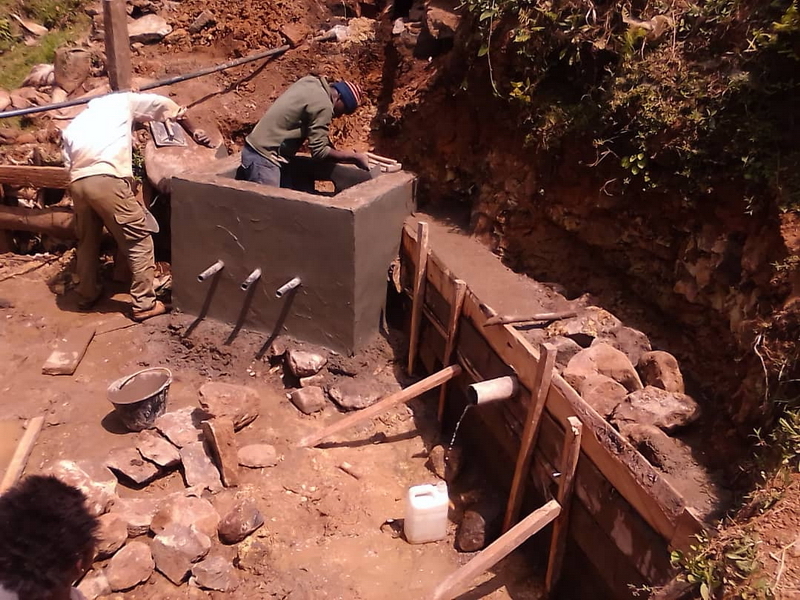 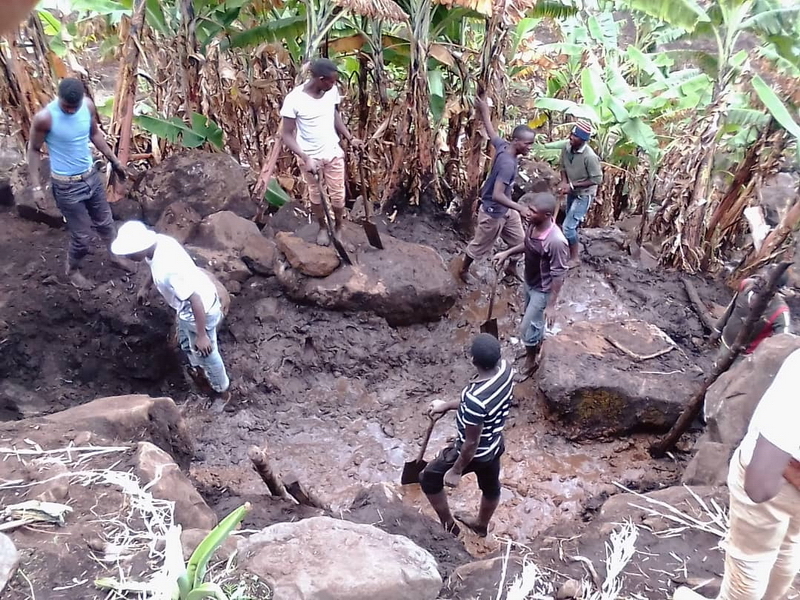 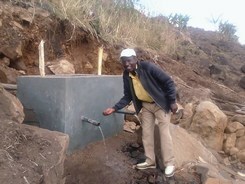 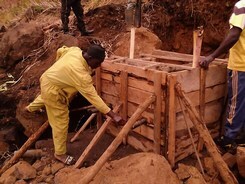 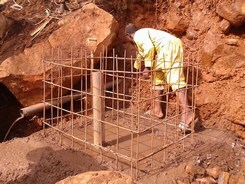 The catchments are constructed so that clean spring water is protected from contamination. 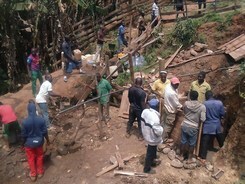 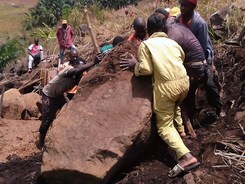 They have been built by many members of the communities coming together and working tirelessly to complete the structures. Now it will be easier for people in the area to collect water, essential for their basic daily needs.